A few days after Google Pixel 3 Lite was spotted online in a hands-on video, another set of images of the rumoured device have made their way on to the internet. And this time the supposedly affordable Pixel variant is shown besides the Pixel 3, showing some major differences between the two. First of all the bottom speaker is missing on the Pixel 3 Lite variant and secondly there’s only a single selfie camera on the smartphone, unlike Pixel 3 that boasts of two selfie lenses. Also the Pixel 3 Lite appears just a little bit narrower compared to its elder sibling. 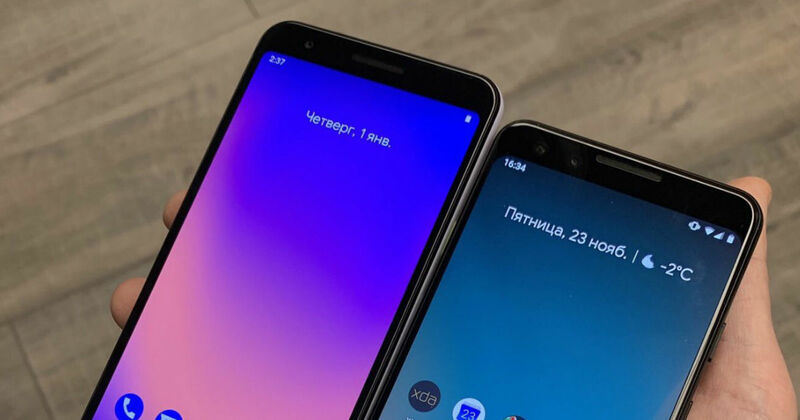 The fact that Google is working on a mid-range Pixel 3, codenamed Sargo was first leaked by Rozetked, the same website which released the full-hands on video of the Pixel 3 XL, a week before its launch. According to the leaks, Pixel 3 Lite features a 5.56-inch screen and has an aspect ratio of 18.5:9, unlike the 18:9 on the current flagship. It is said to be powered by Qualcomm Snapdragon 670 Soc along with Adreno 615 for graphics processing. The mid-range device has 4GB of RAM and 32GB of internal storage. Coming to the camera, Pixel 3 Lite reportedly has the same 12MP rear-sensor and an 8MP selfie unit and batter wise also it houses the same capacity of 2.915 mAh. Considering the similarities between the two, if Google is able to price the smartphone competitively, Pixel 3 Lite might become the most attractive mid-range smartphone their is. It is expected to run Android 9 Pie out-of-the-box.